Sophie invites us to care for our interior life, because it is a source of fruitfulness, joy and vitality for us. It is the place where the human and the divine come together, the place of our encounter with the risen Christ, to which we bring our joys and sorrows and from which we draw strength to pronounce our "yes". This quote, from the Society's formation document Life Unfolding: Offering the Gift, has been with me as I busy myself with preparations to go on retreat tomorrow, doing last-minute stuff and packing with our fluctuating weather forecasts in mind. It is what I hope the next eight days will be all about: a time of grace, when the human and divine will be together, a place where I encounter Christ, who calls me to ever closer discipleship and more passionate ministry... and a return to the Wellspring, the Source of the fruitfulness, joy and vitality which enables me to go on saying "yes". 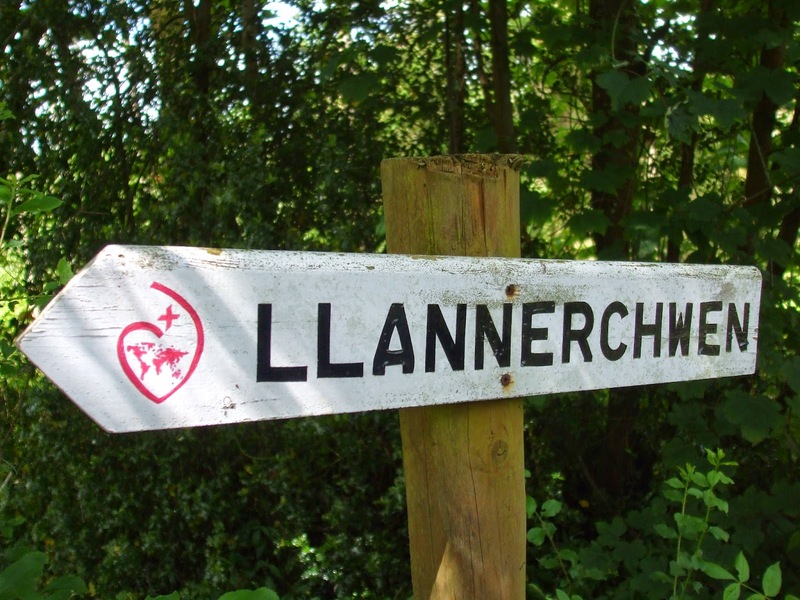 And yes, I will be staying in Llannerchwen, my favourite place for a retreat, where the weather can be extremely variable and God speaks in wildness, stillness, birdsong, rain, sunshine and so much more.